While you were thinking that graveyards are scary, little you do know that cemeteries are beautiful places worth visiting. 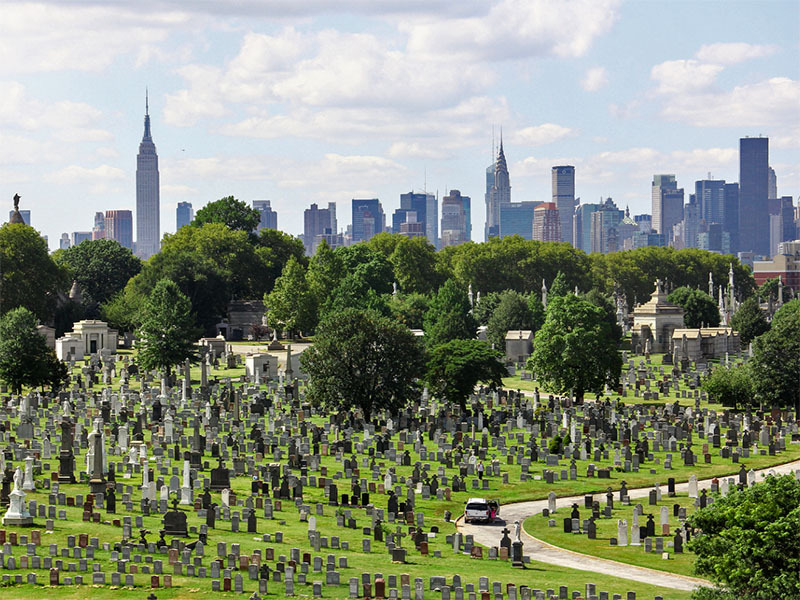 Take a look at the famous graveyards you should visit at least once in your lifetime. Are you planning for a vacation? Yes? Great! You might think of visiting Europe, Canada or the countries which are known for their stunning landscape and beaches. I am sure not everyone counts cemeteries while vacationing. 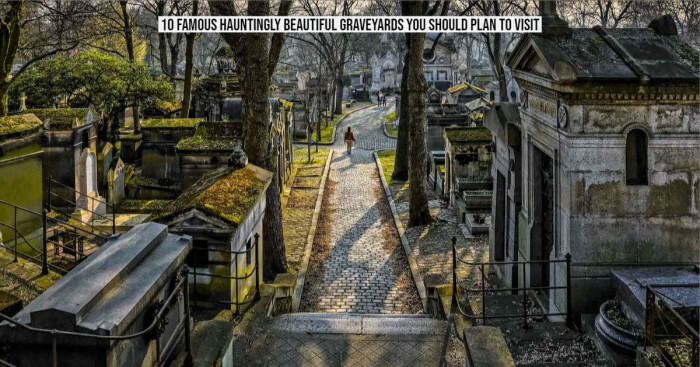 But there’s something attractive about the graveyards – be it a breathtaking view or the stories of people which make millions from around the world to visit it. While it is exciting to see where your favorite celebrities are buried, you can’t ignore the fact it is the same resting place for the ordinary people too. Let us explore some beautiful graveyards that are known for their amazing view and unique features. Are you ready to visit these hauntingly beautiful cemeteries? Here we go! 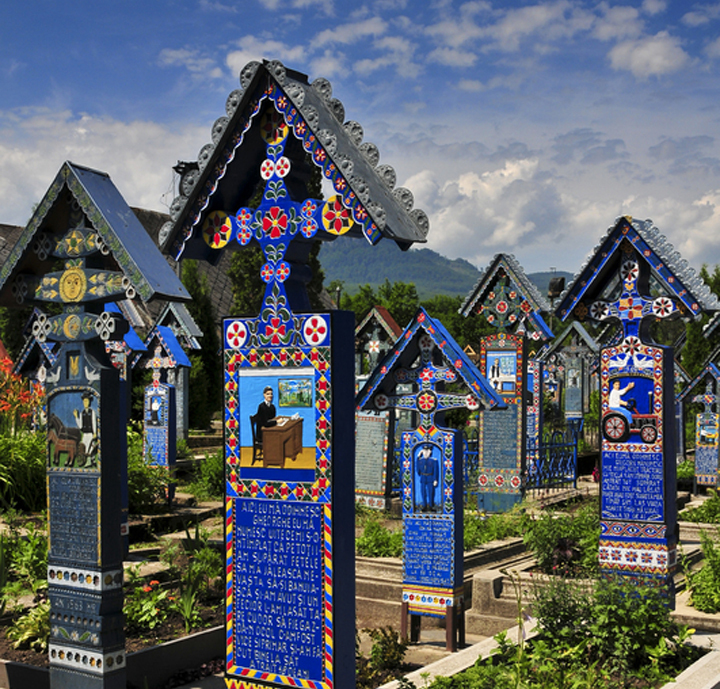 The Merry Cemetery in Romania is one of the beautiful cemeteries in the world. The Romanian people have found a colorful way to pay tribute to the dead since 1935. The merry cemetery is famous for its beautiful paintings and colorful tombstones. Here, instead of boring stone grave markers, each plot is decorated with a colorfully-painted wooden cross with a poem written in the memory of a person who has died. A man called Stan Ioan Patras, a local artist, began the tradition of the first tombstone crosses in 1935. He carved the first epitaph in 1935, and till 1960, over 800 beautiful crosses came into sight. These beautiful crosses were the unique way of celebrating life instead of death. Many crosses describe the cause of death (death by accident/ disease), others depict hobbies that made them happy. So next time when you plan to travel to Europe, don’t forget to visit this famous graveyard- The Merry Cemetery. Also, if you are going here for the first time, make sure that you follow these tips while traveling to unknown places. Have you ever seen the graveyard surrounded by a beautiful lake, leafy trees, and stunning botanical gardens? I haven’t seen, even I can’t imagine a cemetery at such a beautiful place. But Mount Pleasant in Toronto is a graveyard that attracts the tourists by its breathtaking view. 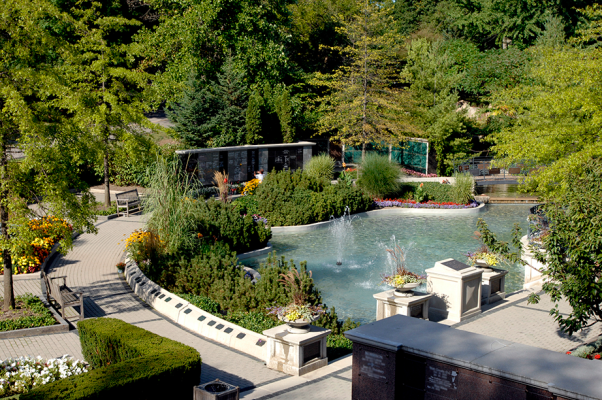 It is the resting place of many popular Canadians, including PM William Lyon Mackenzie King, and renowned pianist Glenn Gould. Mount Pleasant Cemetery was opened in November 1876 and is a resting place of over 170,000 people. The southern portion of the cemetery has a large green space with winding trails which is the favorite point of cyclists and walkers. This popular graveyard also features fountains, distinct trees, and a beautiful walking path designed by architect Henry Engelhardt. It contains over 231 Commonwealth War Graves, including 126 burial in WWI and 105 in WWII. So when are you planning to visit this beautiful burial ground? Founded by John Jay Smith in 1836, Laurel Hill Cemetery is a rural cemetery in the US. It is more than a graveyard and features an outdoor sculptural garden, park, and a historic national landmark. It is the second-oldest cemetery in the US, and a popular tourist attraction as visitors can see the graves of a few passengers who traveled in the Titanic. If you are a huge fan of a movie and want to know more about the passengers who traveled in Titanic, you must visit Laurel Hill Cemetery. Do you know an iceberg was not the only reason why Titanic sank? But it was the dock in the ship that caught fire from the boiler room. Read the full story here. 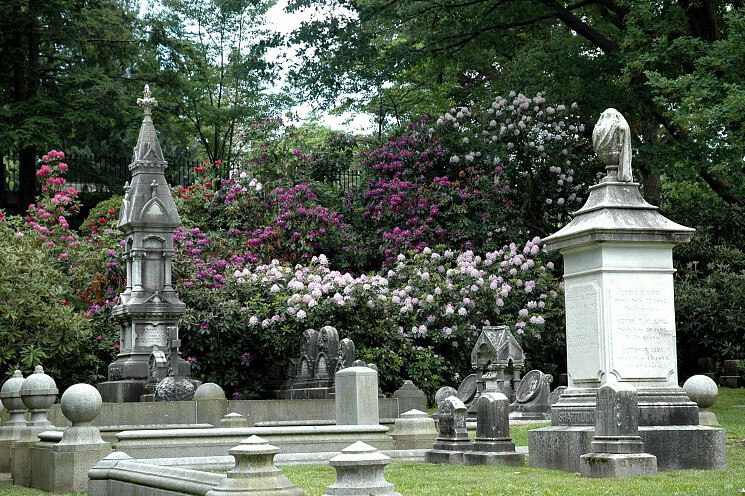 The cemetery is a favorite destination of people who love architecture and horticulture. 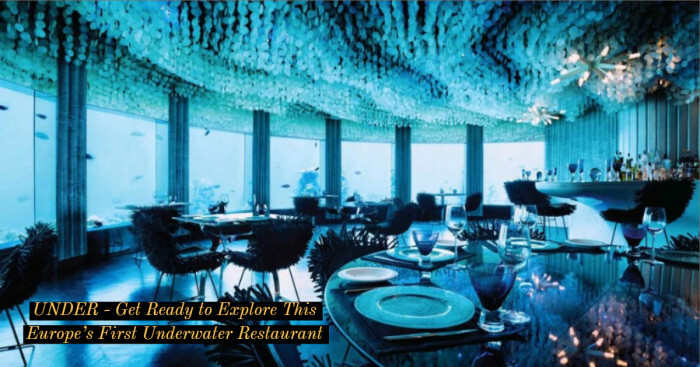 It is located high above the Schuylkill River and gives an outstanding view that can't be seen elsewhere. 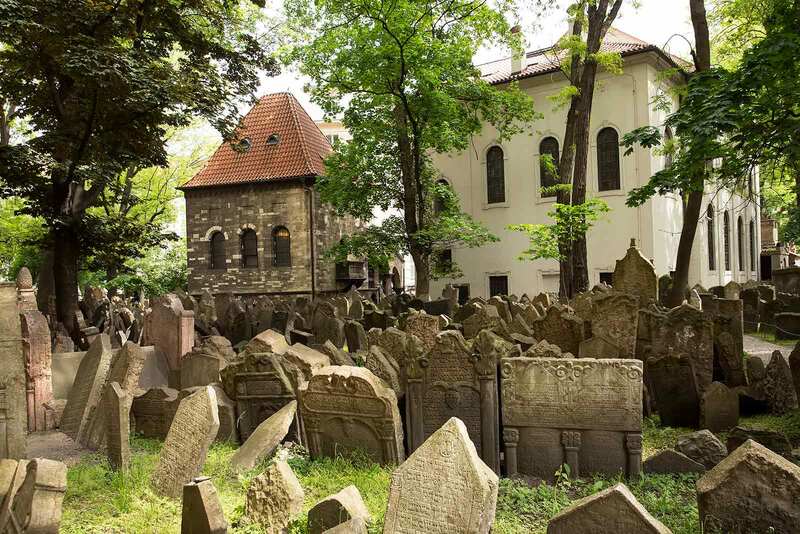 Founded in the 15th century, the Old Jewish Cemetery is one of the popular attractions in Prague. There are two types of Jewish burial monuments – the older is a slab of stone with several endings at the top, other is a Tumba that appears later in baroque times. From the 16th century, the graves characterize the deceased through his/her profession and various symbols. Today, the tourists can pay their respects to the buried at the Cemetery through the tours planned by Prague Jewish Museum. The museum here has several pictures and poems written by kids during the Nazi rule. 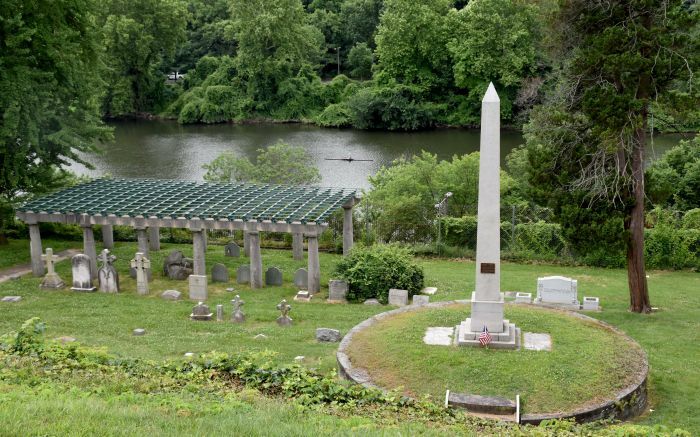 This popular graveyard contains over 3500 interments from the Civil war and also has the sections for veterans of the Spanish-American War and other wars along with the graves of children. The centerpiece of the cemetery is Soldier’s National Monument, designed by architect George Keller and sculptor Randolph Rogers. The US 16th President Abraham Lincoln delivered his Gettysburg Address at the cemetery consecration on 19th November 1863. That day is recognized as the ‘Remembrance Day’ with memorial ceremonies by thousands of Civil war troops. The Battlefield monuments and memorials are scattered throughout the graveyards and gates, iron fences, and section markers are marked as the contributing structures within Gettysburg Battlefield Historic District. 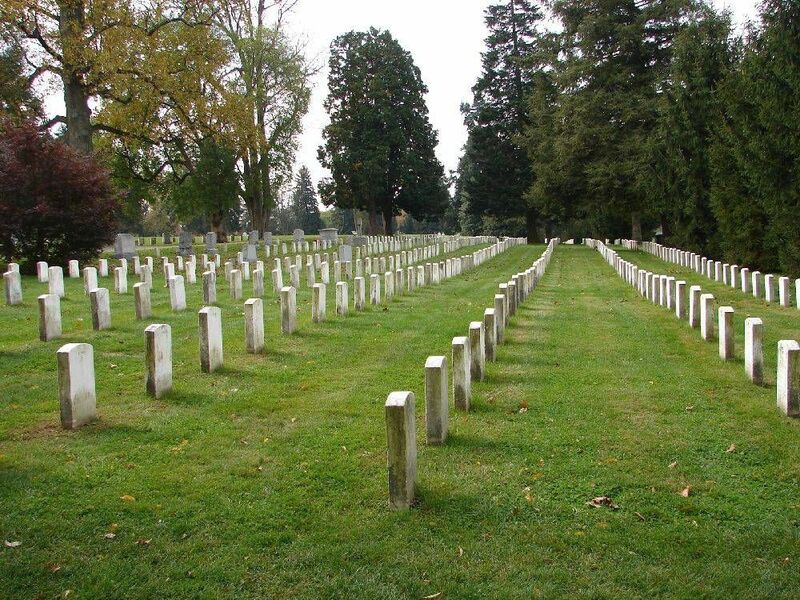 The state has several places to visit including national forests, wide stretches of farmland, Hershey Park, and falling water, but the national cemetery is the site you must not forget to add on your list. The park museum has a huge collection of weapons and civil war uniforms used in the wars. Originally called Hollywood Memorial park, the cemetery was found in 1899. It is one of the oldest graveyards in Los Angeles. 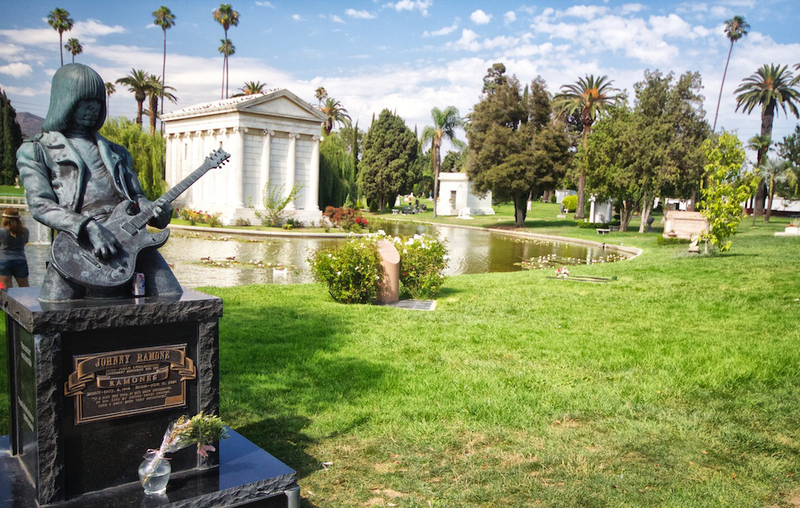 It is the resting place of several popular celebrities including Johnny Ramone, Cecil B. Demille and more. Since 2000, the team of Hollywood Forever collaborates with several film organization to feature cemetery screenings every summer. People gather at the place where they lay down under the stars and watch Hollywood films projects onto the side of a mausoleum. The screenings are planned to encourage the interaction between the cemeteries and the public. Not only in summers but the cemetery regularly organize several events like music and screenings. In July 1974, the crematory shut down after Cass Elliot was cremated. The supervisor of the crematory said that the site was in poor condition and bricks begin to fall around Elliot’s remain. The cemetery reopened in 2002. 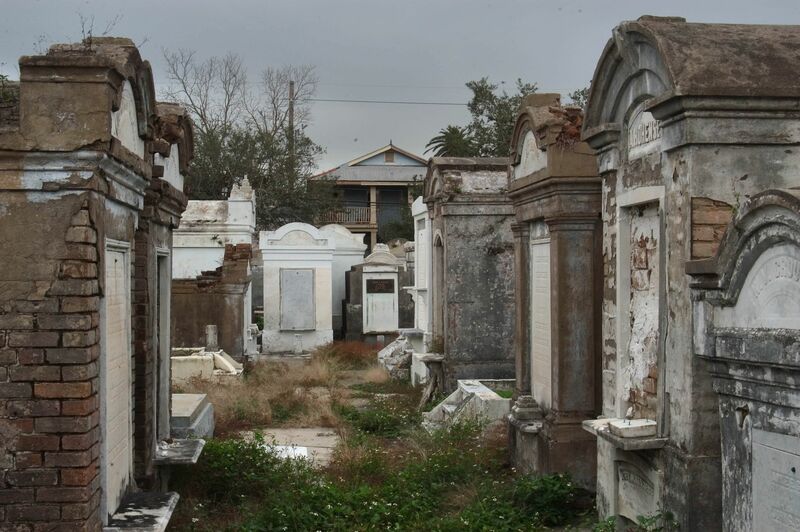 Located in the Garden District neighborhood of New Orleans in Louisiana, Lafayette Cemetery is famous for its architectural significance of mausoleums and its layout. The cemetery contains over 1100 family tombs and 7000 people. Very few people know that the cemetery is one of the most filmed cemeteries in New Orleans. 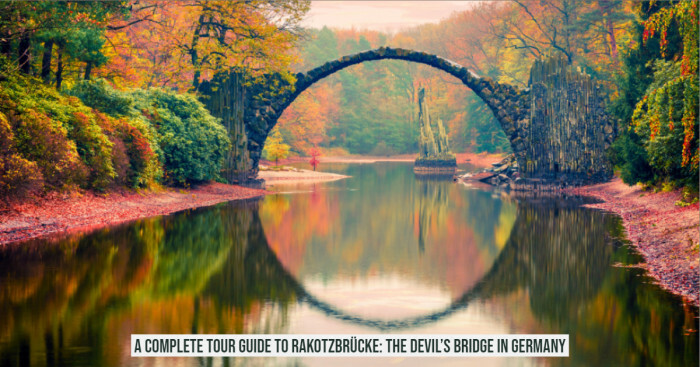 The site has made appearances in movies like Dracula 2000 and Double Jeopardy. You won’t see tombstones here; instead, you will find the row of marble coffins. There are several tombs at Lafayette Cemetery but, The Miniature Graveyard, The Woodmen of the World, and Lestat’s tomb have different stories to share. “It goes back to when this was all a sugar cane field. Everything in the Garden District was sugar cane until 1832. One summer in the 1820s, Sarah’s family came to visit friends there, and she wandered away from the house. She got lost in the sugar cane field. It took over a week before they found her body. This is not the only story where a ghost is seen, but there are several pieces of evidence where ghosts are encountered. Founded in 1831, Mount Auburn Cemetery is one of the first garden-style cemeteries in the US. A complete walkthrough of the site nearly takes 3 hours or more to explore famous graves of Henry Wadsworth Longfellow and B.F. Skinner. Today, the cemetery continues to show its dual role and serve both as a museum preserving two centuries of death and an active cemetery showing different tastes of architecture. The first cremation that took place here was on 18 April 1900. The beautiful burial ground designed by Henry A. S. Dearborn and Alexander Wadsworth feature monuments, fountains, ponds, and chapels. With over 5000, the cemetery was listed in the National Register of Historic Places in 1975 and also designated as a National Historic Landmark in 2003. Opened in 1839, Highgate burial ground is one of the most famous graveyards of London. It is known for its architecture and unique trees, that are spread throughout the cemetery. 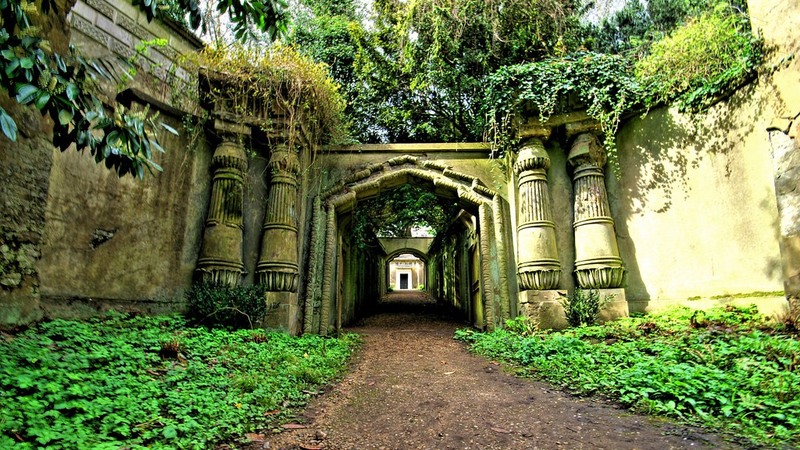 There are over 180,000 people buried in around 54,000 graves across the east and west cemetery at Highgate Cemetery. The site is popular both as a burial ground and a nature reserve. The cemetery ground is full of wildflowers, trees that have been grown without human influence. The most famous burial in the cemetery is of Karl Marx whose tomb was attacked by bombs on 2 September 1965 and 1970. After 1970, the site became popular for the horror films and movie studio Hammer. The films attracted the people, and the stories of vampire and robbing started publishing in the news. If you ever plan to visit Highgate Cemetery remember that west section can only be visited with a guide. However, the east section can be visited alone. Calvary graveyard has the largest number of interments of any cemetery in the US. The site is spread over 365 acres and is owned by the Roman Catholic Archdiocese of New York. 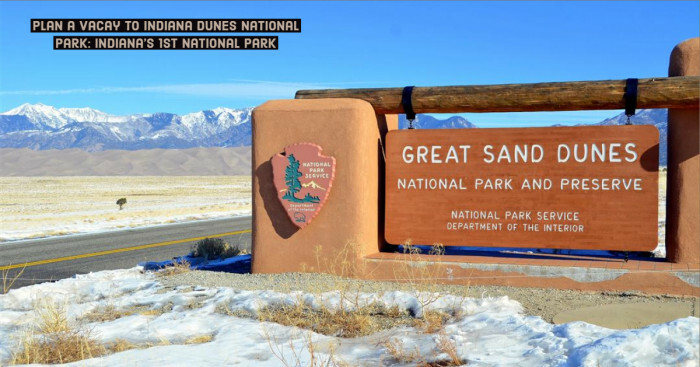 Very few people know that several television series and films have been filmed here. The site was named after the hill where Christ was crucified. The first burial that took place was of Esther Ennis who reportedly died of a broken heart. The same year, Archbishop John Hughes consecrated the graveyard in August. Calvary Cemetery is managed by the Trustees of St, Patrick’s Cathedral. Did you find this place interesting? Visit it once, and you will know if it is scary or peaceful. Ever thought that graveyards can be so beautiful that they become a tourist attraction? I used to think that it is only the resting place for the dead ones, now I know that the cemeteries can be the places worth visiting. Next time when you plan for a vacation, add cemeteries of that place (country) on your checklist. I am sure you will enjoy spending time there. Have you ever visited any of these cemeteries? How was your experience? Drop your comments below.